The Wall Street Journal ran a fascinating story yesterday about Nordstrom and the costs of offering free shipping, flexible item pickup and boosting online sales. I thought this would be good fodder for a post here since Anthropologie’s lack of permanent free shipping is a near-constant topic of discussion. Of course the WSJ serves the business audience rather than the consumer crowd so the article is spun as Nordstrom is losing potential profits (expenses rose 10% last year while profits were down 17% to $600 million) by offering these customer-friendly policies. 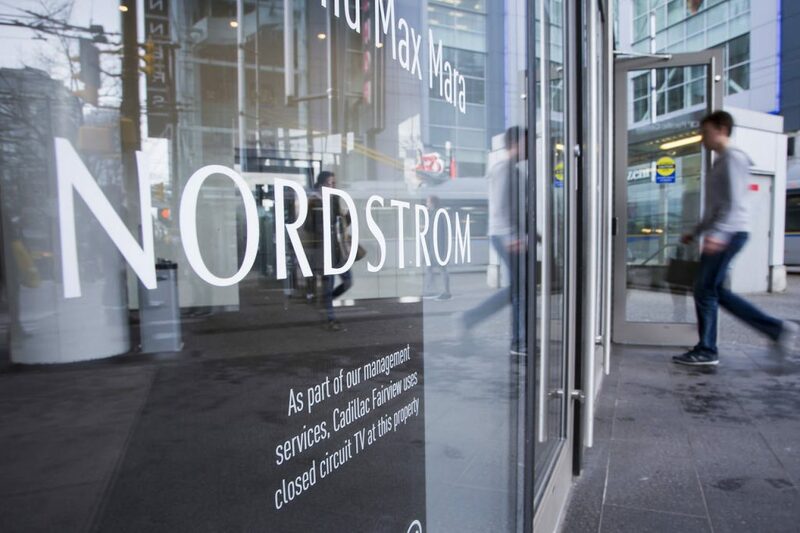 “Nordstrom Inc. says it is struggling to control the high costs of competing for online sales. The Seattle-based retailer has gained market share by offering more-generous free shipping, in-store pickup for online orders and other services than many of its rivals. But the cost of boosting online sales has cut into profits, the company said last week when it reported full-year earnings. For the year ending in January, Nordstrom’s profits dropped 17% to $600 million, while expenses rose 10%. Nordstrom’s results underscore how retailers haven’t figured out how to replicate online the profits generated in brick-and-mortar stores. Many companies are investing in technology and their distribution networks to seamlessly get merchandise to customers whether they order online or in-store. “The cost of pursuing online sales goes beyond the price of delivering a package or maintaining a website, and many companies struggle to measure their total e-commerce expense. For example, marketing and the cost of returns can add to the overall expense, analysts say. The article goes on to talk about how inventory levels were higher than expected, and that Nordstrom hopes that better inventory controls will help to shore up profits in future quarters. You can read the entire article here if you are a WSJ subscriber. I love how this article highlights something that consumers often don’t think about in the price discussion, something I bring up often in the community discussions we have about pricing. Clothing prices are not set to cover just the cost of the garment, nor is it singularly about making a profit. The price of each piece of clothing is set to cover the cost of making the garment, paying the designers and buyers; covering the cost of the logistics of stocking the item, picking it, packing it and shipping it; handling the marketing of the item or collection; the copywriters, website design teams and technologists; the social media team and promoters; the admin people who keep the company operating; and of course a little bit for the exec team as well; plus the logistical fees like building rents or taxes where the company is located, electricity, etc. The list goes on and on. Add it up, and you might be putting your money towards the salaries of 50+ people, just by buying a single item. Think that’s unfair? I don’t. It works this way with every item you buy, from a meal at a restaurant to a new TV or gadget to a book to ride in a taxi. That’s more the periphery of what this article is about though it’s the most fascinating piece to me. Really, this article is about how companies are undercutting their profits by offering consumer-friendly practices as a means to get the sale. Right now, Nordstrom and many of its ilk are choosing to sacrifice $5 to $15 per sale (and that’s just a guess number) to get customers to buy from them at all. They are losing potential profit on every sale so that costumers will continue buying from them. Forget loyalty…in the era of savvy online shopping, this about winning the wallet. Investors and analysts watch this stuff closely. They punish companies in the markets that don’t fully attain these coups — shipping fees, return fees, concierge fees and the like. Then you have companies like Anthropologie, who are playing for the long haul. While sister companies Urban Outfitters (which is struggling mightily right now) and Free People (who is doing gangbusters) offer Free Shipping regularly if not all the time, Anthropologie continues to rarely offer this perk. Returns of online purchases by mail are not free at Anthropologie. You and I may think of this as profit centers for Anthropologie, but analysts and investors think of shipping fees and return fees as the cost of doing business. So which is it? I’m curious to hear your thoughts.